Successfully Added Action Camera Protective Case - PU Leather, EVA Foam, For GoPro HD Hero 4, 3+, 3, 2, Small Size JCAM SJ400 to your Shopping Cart. 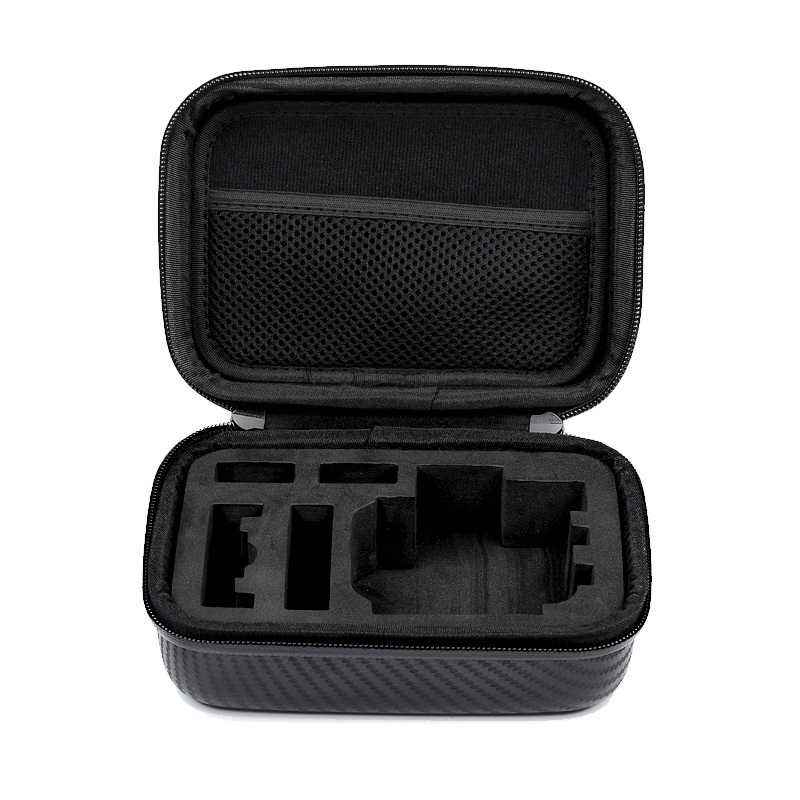 This protective case for your action camera has precision cut molding for the camera your batteries and additional accessories such as case mounts. It’s perfect for keeping everything safe and secure and is made from PU leather, which is made with a split leather backing covered by a layer of polyurethane to give it high level waterproof properties that will help keep your cameras safe if caught out in the rain. This material is sometimes referred to as bi-cast leather and has the advantages of being easy to clean and maintain. The EVA foam inner has been molded to fit a range of devices such as the GoPro HD Hero 4 /3+ / 3 / 2 as well as the JCAM SJ400 small size action cameras. The EVA foam makes for excellent padding and works as a great shock absorber to keep your camera safe from any knocks or bumps it may receive while in the case. This action camera case with foam insert is easy to carry and comes with a lanyard wrist strap. Brought to you by the leader in electronic devices as well as wholesale action camera accessories, Chinavasion..